To get to/from the Cappadocia area, there are 2 airports - Kayseri and Nevsehir. The Kayseri Erkilet Airport is located 70km or 1 hour from Goreme. Nevsehir Kapadokya Airport is 40km or 40 minutes from Goreme. Kayseri airport is the larger of the two and has more flight options as well as being serviced by other airlines. Nevsehir, while closer is only serviced by Turkish Airlines. Either airport is a convenient way to fly in or out of the Cappadocia region. Airport transfer shuttles, public and private, are available for all flight times and we can arrange pick up or drop off to/from your hotel in both Istanbul and Goreme/Cappadocia. 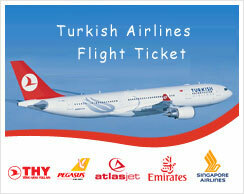 Istanbul also has 2 airports - The Ataturk Airport and the Sabiha Gokcen Airport. The Ataturk Airport is located on the European side and is the biggest airport in Turkey. The smaller Sabiha Gokcen Airport is located on the Asian side - and it can often take more than an hour to reach Sultanahmet from the Sabiha Gokcen Airport.